Since previous technical meeting in November, Symplexity partners have been working hard on developing and perfecting their algorythms, processes, and machines for human-robot collaborative polishing process. A lot of data was collected and analyzed in order to find best paramters and enable polishing of complex surfaces. 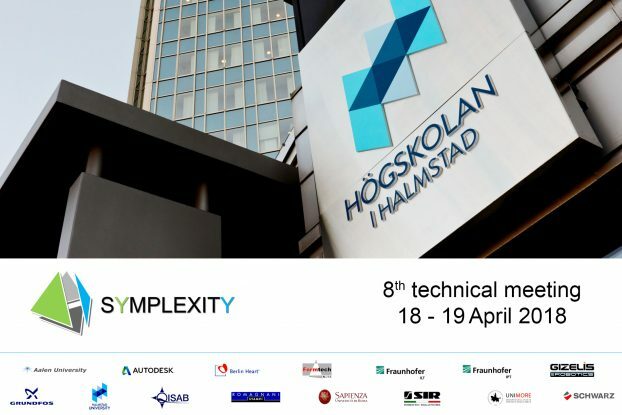 Now it is time to discuss it all in greater details with consortium partners during the 8th technical meeting, which will take place on 18th and 19th Aptil 2018 at Halmstad University (HAL). Besides, there are many updates coming soon – make sure you follow Symplexity on Facebook and Twitter to get notifications about our latest news!